We’re planning to add many more resources here in the coming months– and also, to present/organize this portal page a lot better. 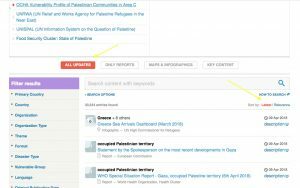 We’re delighted to note that the United Nations Information System on the Question of Palestine (UNISPAL) and the UN’s Relief and Works Agency for Palestine Refugees (UNRWA) both have information-rich, up-to-date websites. We urge interested scholars and activists to make full use of those resources. What we offer here aims to supplement– and sometimes, provide a guide to– their offerings. 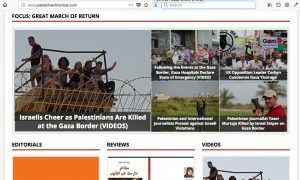 The “occupied Palestinian territories” page on Reliefweb is a good place to find well-updates on both the humanitarian situation and the political situation, that are produced by international organizations or very reliable on-the-the-ground organizations with a lag-time of, in some cases, only a day or two. This is a great place to find reliable, well-sourced information from bodies like the World Health Organization, on-the-ground human-rights or relief organizations, or UN bodies. 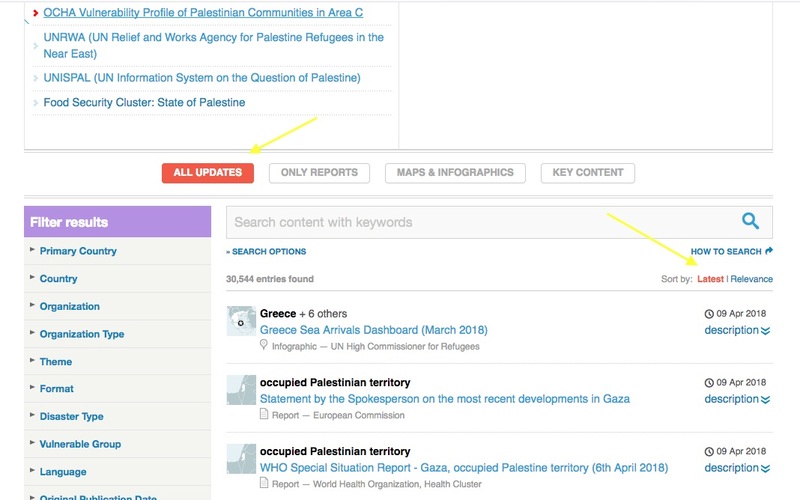 To use Reliefweb most effectively, scroll down on the OPT’s page till you see the row of buttons “ALL UPDATES”, “ONLY REPORTS” etc, as shown here. Make sure it’s set to “ALL UPDATES”, and then, over on the right to “Latest”. 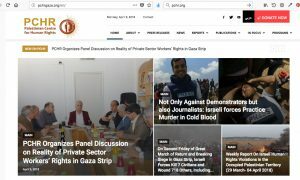 There are two high-quality human-rights organizations based in Gaza that do a great job of documenting rights abuses in a thorough and professional way, under circumstances that are often extremely trying. They both have decent websites on which their reporting is posted in English and Arabic with only a short time-delay. Both also submit regular reports to international human-rights bodies like the UN High Commission for Human Rights. They are: the Palestinian Centre for Human Rights, and Al Mezan Center for Human Rights. Be sure to check them both out regularly. 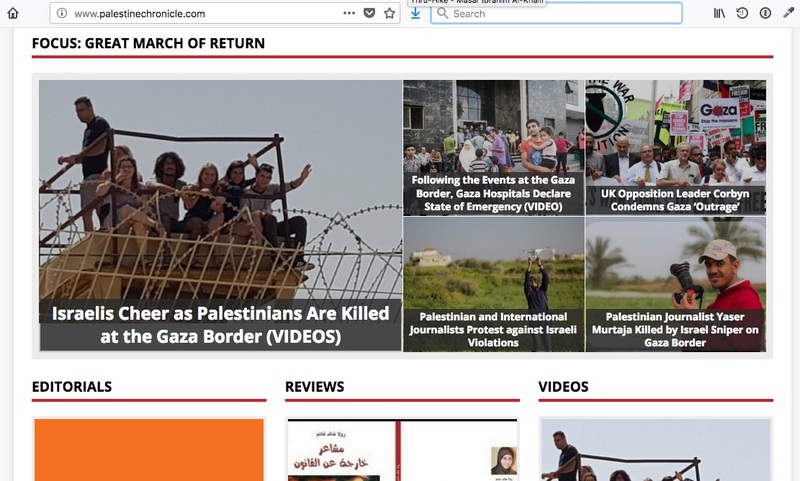 Electronic Intifada, a longstanding, Palestinian-run website run out of Chicago, but with an excellent network of in-Palestine reporters, that’s been doing a great job of covering the Great March of Return. 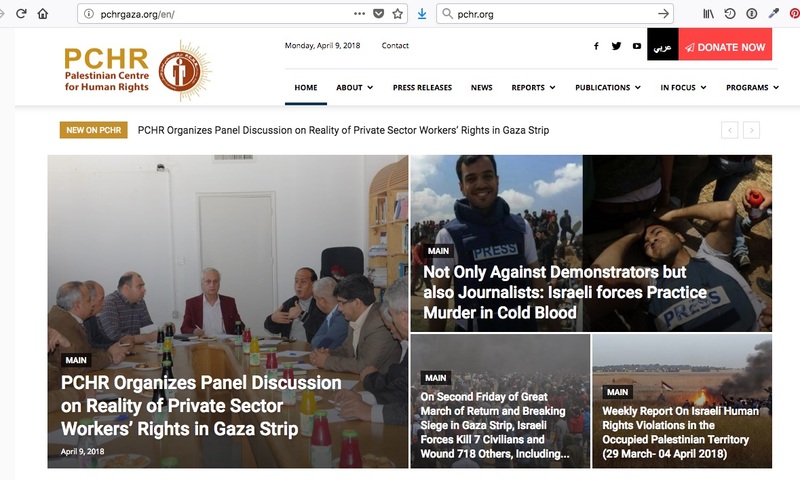 Palestine News Network— a network of journalists and editors in the occupied territories that often has great stories giving rich background about life in both the West Bank and Gaza. Mondoweiss— a New York-based website whose main strength is to chronicle the effects of Israel’s many contraventions of international law on the political and social scene in the United States. Al-Monitor (Washington DC) and Middle East Monitor (London) are both websites with strong (though sometimes uneven) networks of correspondents throughout the Middle East, including Palestine and Israel. Haaretz is Israel’s leading “critical” daily newspaper. It has excellent columnists like Gideon Levy and Amira Hass, and several other good journalists, too. Sadly, it’s behind a paywall. …the refugees wishing to return to their homes and live at peace with their neighbours should be permitted to do so at the earliest practicable date, and that compensation should be paid for the property of those choosing not to return and for loss of or damage to property which, under principles of international law or in equity, should be made good by the Governments or authorities responsible. Under customary international law, any individual’s civil status– and thus, also this right of return– is unequivocally heritable from one generation to the next: A child born to a refugee from any conflict anywhere around the world carries the same civil status and fundamental rights as her or his parents. These issues are explored a little more deeply in this article, published by JWE President Helena Cobban in early April 2018. The United Nations Relief and Works Agency for Palestine Refugees in the Near East (UNRWA) was created by the General Assembly in December 1949. UNRWA’s terrific website describes many aspects of the situation of today’s five million-plus registered Palestinian refugees. Do explore it very thoroughly! Their “Newsroom” and “Resources” pages are particularly rich. To be “registered”, a refugee must be, or be the descendant of, a Palestinian individual who found him/herself in one of the five areas where UNRWA was providing services in the months after its founding and to have adequately demonstrated neediness to the UNRWA staff in those locations. 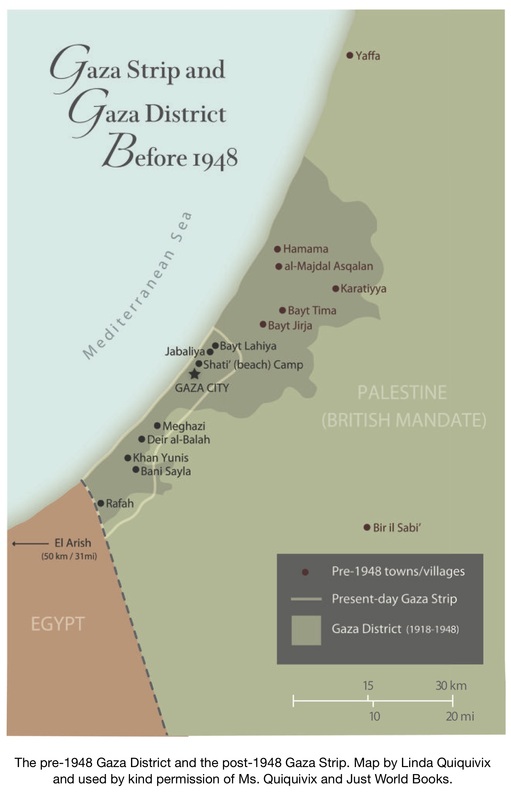 Thus, from the very beginning, the population of “registered” Palestinian refugees was much smaller than the total number of Palestinian refugees– that is, of people who under GA Resolution 194 have the Right to Return to their homes in what is now Israel and who in many cases have solidly documented claims to ownership of homes and properties there. Many registered refugees live in refugee “camps” which, over the course of 69 years have developed into highly built-up urban areas. UNRWA does not exercise any security or sovereignty functions in the camps or elsewhere, but merely provides human services in them, including lodging, schools, public health, and basic medical services. The camps all fall fully under the legal and security system of the surrounding area. Girls’ sports in an UNRWA summer program, Gaza. These two “fields” of UNRWA operations came under Israeli military occupation in June 1967. Like their non-refugee neighbors in these areas, the Palestinian refugees in Gaza and the West Bank have suffered mightily under the military law that Israel has imposed on them continuously since then. In the West Bank, there are 810,000 registered Palestinian refugees (from a total population of around 2.7 million.) In Gaza there are 1.3 million registered refugees from a total population of around two million. Under the 1993 Oslo Declaration, Israel and the Palestinian Liberation Organization agreed that pending a final peace treaty between them a PLO-created body, the Palestinian Authority (PA), could administer certain very limited aspects of the lives of all Palestinian residents of the occupied areas. Theoretically, there are supposed to be regular elections to both the legislature and the presidency of the PA, but none have been held since 2006. Palestinian refugees in the West Bank and Gaza were allowed to vote in these elections and also to get PA-issued “passports”, though Israel still closely controls who can get in and out of both of these territories. In Jordan, the registered refugee population numbers 2.175 million from a total national population of around ten million. 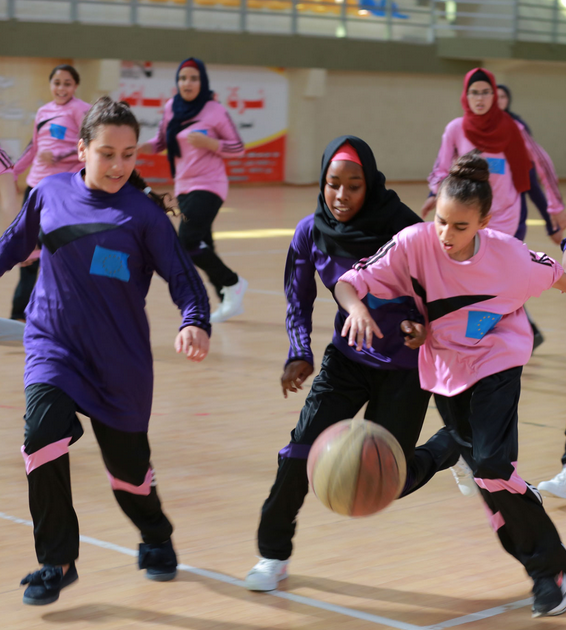 UNRWA is also trying to provide services to some 10,000 Palestinian refugees from Syria who have traveled to Jordan. In Jordan, most Palestinian refugees have been offered full citizenship, which gives them, theoretically, the same political rights as their “indigenous” Jordanian neighbors– as well as a passport that gives them considerable freedom to travel internationally. 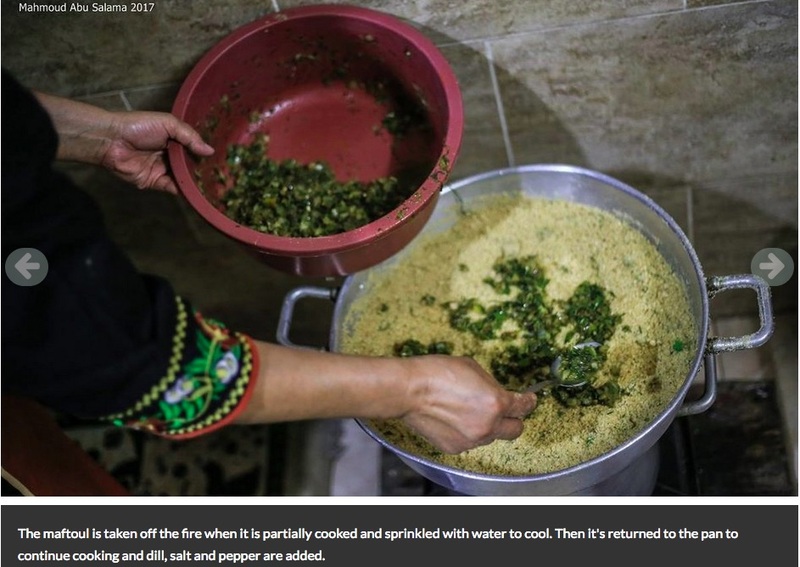 In war-torn Syria, the number of registered Palestinian refugees was listed in January 2011 as 527,000, out of a total population of 17 million. Palestinian refugees in Syria have traditionally enjoyed equal rights to education, jobs, and health services as their Syrian-citizen neighbors, though no political rights within Syria. They have been able to travel outside the country only on the basis of a government-issued laissez-passer, not a full passport. With the onset of the civil war in Spring 2011, the refugees found themselves under pressure to take sides. Many of them did so– on both sides of the civil-war divide. Several refugee camps in Syria came under intense threat from the combatants of both sides, and suffered considerable damage as the fighting raged through them. Registered Palestinian refugees make up around 450,000 of Lebanon’s six million population. These refugees are denied all access to education or health services provided by the Lebanese state, and are also barred from a list of around 75 Lebanese professions/occupations. Throughout the years of the Lebanese civil war and Israel’s repeated, large-scale military assaults against the country, their communities suffered serious casualties and physical destruction. They are allowed to travel outside the country only on the basis of a government-issued laissez-passer, not a full passport. As noted in #2 above, around 70% of the Gaza Strip’s population consists of refugees from the 1948 Arab-Israel War, and their descendants. Before that war, there was a broader “Gaza District”, as organized as part of the Palestine that was ruled by Britain under a “mandate” from the League of Nations; and the city/area of Gaza had a long and distinguished history going back to ancient times. Many great accounts of life in Gaza in modern times, written by some of Gaza’s many talented writers, can be found on the website of We Are Not Numbers. An image from one of WANN’s photo galleries. The WANN site has a page that gives a fairly good thumbnail sketch of Gaza’s situation and recent situation. (Wikipedia’s page on the Gaza Strip is also very helpful.) The WANN site has many areas well worth exploring, including photo galleries, etc.